BelarusDigest > All > Will the Kremlin Foment Trouble For Belarus’ Presidential Elections? The most important issue in Belarusian politics today is the next presidential election. However, the candidates that have been proposed by the parties so far are no major politicians as the opposition has been kept out of the parliament since 1996. As a result, they see the election as little more than an opportunity to announce their existence to the broader public. Having selected relatively unknown candidates to represent them (such as Romanchuk, Kastusiou, Hlushakou), the opposition parties seem to already consider the election a lost cause. They as if avoid risking the reputation of their better known party members. The issue of most interest in the next election is the extent and the nature of the Russian involvement. For the first time, Moscow is thought to have abandoned the side of the incumbent president Alyaksandr Lukashenka. Looking back at the demise of the Kyrgyz government with Russia's blessing in April, one wonders how the Kremlin's disfavor could affect the current Belarusian regime. As a colleague versed in the Kyrgyz politics has recently explained to me, the Russians did not initially plan to get rid of president Kurmanbek Bakiyev for good. Instead, they hoped to merely to rein him in once Bakiyev stopped supporting the Russian interests in his country. The US influence was also critical for this self-serving Central Asian cleptocracy. Because of the increasing problems with the US military base in Kyrgyzstan, Washington was encouraging Bakiyev's opponents hoping to tilt the scales in favor of a more reasonable regime in the country. Of course, neither of the world powers had wanted a revolution. But the Kyrgyz opposition understood their message in its own way. Seeing Moscow as ready to help out with ousting the Bakiyev's regime and Washington as not opposed to the idea enough to stall it, the opposition rushed to attack the governmental institutions. Having inadvertently created so much havoc, Moscow may have decided to not challenge a post-Soviet regime to such an extent again. In this case, the Kremlin's meddling would hardly be disastrous for Lukashenka. The leader has a lot to worry about if Moscow has instead adopted a strategy that includes the option of ousting 'unwanted' leaders in the post-Soviet countries, however. This would mean that after expelling Bakiyev, Moscow could go after the Georgian and the Belarusian leaders. This is why the Belarusian political scene has been seething with rumors about the money and support that the Kremlin is supposedly channelling to one or the other public initiative or politician. The most probable actors to be receiving such support are the public initiative “For the Truth” ("Za Pravdu") and the United Civic Party (AHP). wrote about former Deputy Foreign Minister Andrej Sannikau as the Kremlin's stooge; however, some political analysts close to the right-wing Belarusian People's Front Party (BPFP) believe Russia does not support a single candidate. They write that "Russia is preparing its scenario of regime changing in Belarus through controlled chaos" and destabilizing Belarus by all possible means. Last week, BPFP declared its intent to contend the next elections 'on two fronts', i.e. both against Lukashenka and the pro-Russian forces. Excluded from any involvement in Belarus' political decision-making since 2000, the Belarusian opposition is getting increasingly marginalized. As a result, many political analysts have stopped studying the internal affairs of the Belarusian opposition. The fact that the country's political forces are too disorganized and weak to participate in the political struggle proves the gravity of Belarus' political problems. This holds even for the loyalists of the current Belarusian regime: as typical for the populist regimes, Lukashenka does not have an organized political basis to support him. Because Lukashenka's attempts to create mass organizations have failed, the President will hardly be able to defend his regime were a large-scale public confrontation to happen in the streets during the next presidential election. 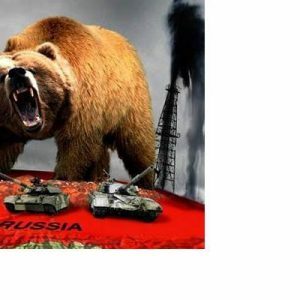 In these circumstances, the threat of the Russian intrusion seems even greater. Having crushed the pro-independence forces, the Belarusian regime stands alone against the most serious foreign threat in its history. This threat is not the US or the EU support for the Belarusian Nationalists vilified by the state propaganda machine for all these years. This threat is Moscow, which has been repeatedly declared by Lukashenka to be his closest ally. The good news for Lukashenka is the West's benign neglect to his regime that has developed since 2008. The EU was the first to apply the principle that “everything that exists has an explanation for its existence” to the Belarusian regime, changing its policies to accommodate and engage Lukashenka. Washington has recently followed, reluctant to get involved with Belarus' democratization efforts again, just as was expected to happen after Barack Obama's presidential victory in 2008. Historically, the West was far less interested in the Belarusian politics than Russia, and even the EU bids to support changes in Belarus have been always far less impressive than the Kremlin's meddling. Thus, while he may face an energetic Russian support for the Belarusian opposition, Lukashenka will probably bask in the West's friendly neutrality. 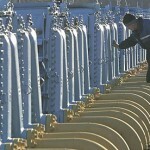 To lower the price of Russian energy Belarus has tried pleas, threats, promises, and blackmail. Minsk set lowering the cost of imported energy as a condition to joining the Customs Union with Russia and Kazakhstan and last week went as far as to offer to give Russian firms control over its energy assets. Having accused Russia of trying to subdue Belarus by acquiring its key industrial assets, Minsk is nevertheless ready to cede control of the gas pipeline operator Beltransgaz (of which Russian Gazprom already owns 50%) and the Mozyr oil refinery in return for oil and gas supplies at Russian domestic prices. Luckily, Igor Sechin, Putin’s deputy in charge of energy, was not thrilled with Alyaksandr Lukashenka’s proposal. Sechin said Belarus would have to clear its outstanding debt of $200 million before any deal can be considered. All these last-ditch efforts not to pay the true cost of energy would do is allow Belarus’ Soviet-style economy to continue in its tracks without a serious reform until the next energy crisis hits. While without the duty-free oil and gas, joining the Customs Union hardly makes economic sense for Minsk, there is even less economic sense in ceding control of Belarus’ energy infrastructure. Everything has a price: if not paid right away, then paid later — with interest. Unless they are willing to trade their independence for a temporary discount, states have to buy energy at the global market costs. Looking back at Minsk’s numerous attempts to get on brotherly terms with Moscow hoping for some nepotistic economic relationship, one sees that the struggling Customs Union project may well be the beginning of the end of several unsuccessful integration projects in the post-Soviet space, including the Union State between Russia and Belarus and their single economic space. Since the uncivilized nepotistic ways are failing, it is high time for Belarus to resort to more civilized forms of international economic relations by initiating a full-scale economic reform, strengthening political and economic ties with the European Union, and catching up on the alternative energy solutions. If the energy issues are as important as Belarus’ efforts on that front suggest, then it is definitely not in Minsk’s interest to cede control of this important strategic asset to Russia, even if “for decent money,” as the Belarusian President hopes. The loss of control over its energy transit and refinery system will result in the loss of the only bargaining chip Minsk has while securing Russia’s gas supply routes to the European market.